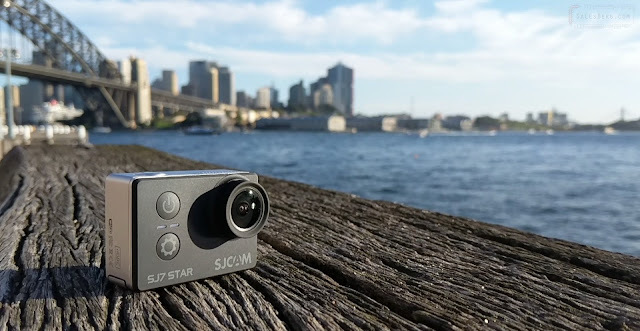 SJ7 Star, the camera that takes SJCAM to the 4k territory. 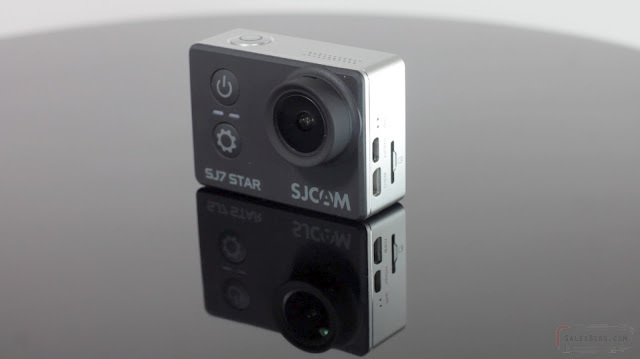 Along with the high resolution, the camera offers the regular array of features that is characteristic of SJCAM cameras. So Lets begin with the packaging. From the surface the packaging has the familiar color theme with the concealed security check sticker. This helps the purchaser to check the received item for authenticity. In the box we have a whole range of accessories and SJCAM provides more online if you need it. The accessories themselves are of decent quality as well. The camera comes in the waterproof housing and the waterproof housing comes with two different kinds of back cover, one for deep diving and the other for touch screen operation at shallow depth. Moving on to the camera itself. There is much to be said about the construction of the SJ7. In the previous review I said that the SJ6 was built well, this takes it to another level. To say that the body shell is constructed out of aluminum is not the full story, the way it is made it kind of reminds me of an iPhone 5. The edges are chamfered, the glass surface of the display looks at home where it is. The front is plastic has a rubberized feel to it. And the overall quality of the camera, the finishing and all is indeed at a premium level. Around the camera, the layout is rather simple, on the side we have the micro SD slot, mini USB port, micro HDMI port, and the little holes for mic. At the front we have power and settings button and two indicator LEDs. At the top we have the action button and the grill for the speaker. All the buttons have decent tactile feedback as well. The battery compartment lid is made of plastic, but it opens using a metal hinge and is also spring loaded. The touch screen works, and the menu system is designed to take advantage of it. Though I personally do not think it is more useful than the traditional button driven menu system. The water proof case also allows the camera to be mounted on different surfaces or on things. And as the name suggests, is waterproof making it capable of underwater filming. Before I move on the the performance of the camera, lets have a look at the internal components. The sensor is a good ol sony IMX117 12MP Sensor. Its 7.81mm with pixel size of 1.55 nano meter. Fun fact it was the same sensor that was used in a GoPro Hero 3. 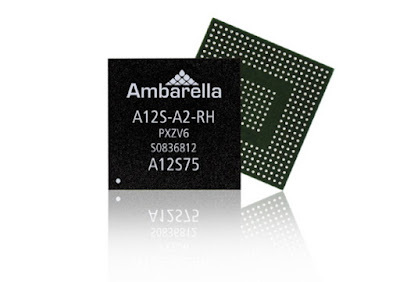 The CPU used is a Ambarella A12S System on Chip or SOC. It is a chip made by one of the well known names of the industry. 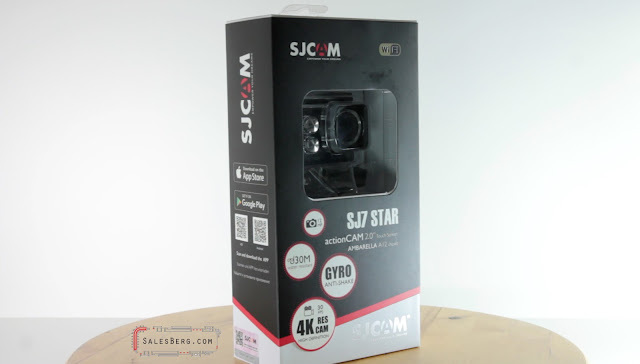 The specs sheet mentions a lot of good things and this time to the credit of SJCAM they managed to utilize majority of the capabilities of both the sensor and the processor. The downside is that the A12S does not encode in H.265 which would have been great for 4K video and it does not support USB 3, which also would have been great for transferring the large files. But I do not wish to pop the excitement, the sensor and the chip together provides good results, as we shall see soon. With regards to wireless capabilities the SJCAM app allows for easier operation of the camera from your phone or tablet etc. And all the settings are tad a bit easier to work with as well. Only difficulty I have faced is that at times the app did not want to connect to the camera. The Wireless remote that is sold separately also works flawlessly, had to pair once and that was it. These remotes are water resistant as well. And now the main event. Video quality. Well the short answer is, the video quality is good. And the long answer is, starting from the regular full hd at 60 fps. By most part the video quality is crisp and vibrant. Some may say the saturation is a bit strong, my opinion about it is, its right for the product, a DSLR will do all the neutral and faithful color reproduction. There appears to be deliberate tuning of image profile in this manner and I like it. Going from dark to bright area the transition is by most part good. At the moment the gyro feature only works up to 1080p at 60 fps. Which is unsatisfactory, 2K and 4K modes are left without stabilization. The stabilization itself is very good when applicable. Moving on to the higher resolution. 4K, finally we have the genuine 4K or UHD resolution from SJCAM. We have 3840x2178 at 30 fps running at average of 65mbps. 65mbps for 4K is not a lot it should be twice as much (or more if wishes are being granted), but it is enough to bring about a usable result. This is an example scene, the detail on the bridge, motion of the water and flight of the birds, the colors. 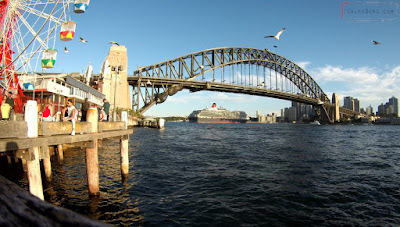 The ship leaving the port is Queen Victoria all in the setting sun, people relaxed and enjoying themselves I love this shot, it captures the spirit of our city. Its time for some pros and cons, I’ll go with the cons first. There are too many resolutions to select from. Understandably this will net in people with specific needs, but the mass majority of people will only be using a few out of this long list. The bigger issue is that this review unit defaults to 720p at 240fps every time the camera shuts. Its a software issue that I hope they will fix soon, its annoying to go into the menu every time I start the camera (UPDATE - Later revision of firmware fixed this issue). There is a heating issue that apparently they are working to resolve via software update, though I have doubts it will improve too much. The tripod mount is missing, this was something that was present in the SJ6 and was incredibly handy, why give a feature only to take it away. Battery has been changed again, although it looked very much like that of the SJ6, its different. 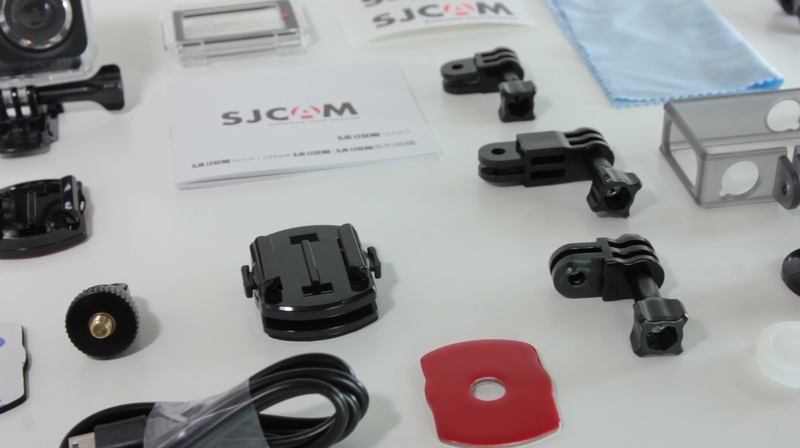 If you do not have any other SJCAM cameras, this does not matter. Gyro in higher resolutions are missing, something that previous models could do. USB 2, and mini USB at that. I can understand that the processor does not support it but mini USB is less in use than micro. 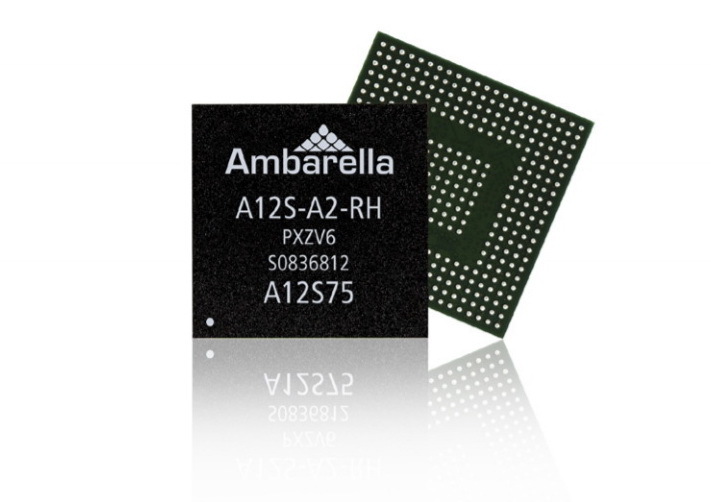 By the way SJCAM if you are listening, the Ambarella H2 chip would have taken care of the USB 3 compatibility, and also would have allowed H.265 encoding. SJ7 V2 Sperstar! Without jacking the price that is. 4K Capability, is indeed a step forward. Batterylife by most part has been very good. I could easily do a day trip with mixed use without running flat. 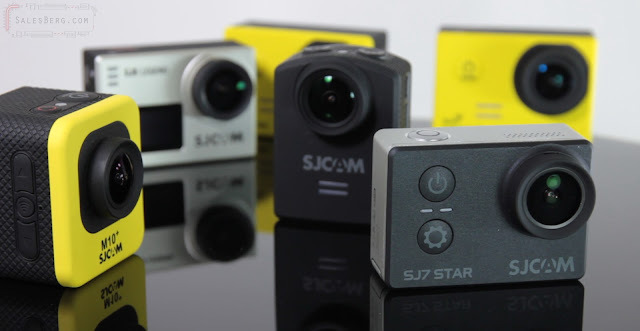 This is more to do with the brand, SJCAM is serious about their reputation and their website is set up to promote communication, with staff or other users. The key to all this is that the Ambarella chip is able to process data at higher rate, than any other camera from SJCAM in the past (as at April 2017). Meaning the full HD video at 60 fps is averaging 45mbps, where with the previous models the max used to be 32mbps for the same video setting. 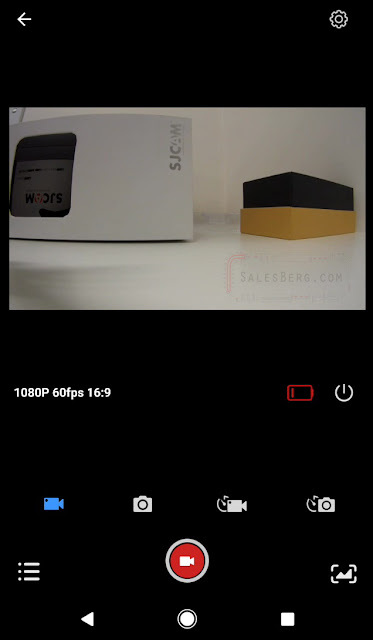 So comparing apples to apple, the SJ7’s video quality is better not just because of the sensor but because of the processor as well. There are two other modes that I found myself using often, that is the full HD at 120fps which has decent sharpness but also allows for slow motion. And then there is the 240 fps at 720p. This is what I have been waiting for. It really makes for some Sweet slow motion. 4K in low light however suffers a bit, but under same condition in lower resolution does not. On the subject of lighting, the way the camera handles light variations in the same shot is to be noted. Where there are shadows in the same frame, the over exposed and underexposed areas are balanced well. The colors don't burn out and the details are presented on both areas well enough. So that is my long answer. (Please refer to the video review for more sample clips from the camera). Most of the negatives that I mentioned are little annoyances, and a lot of them are to be corrected with software updates. There is not much in the way of deal breaker. Its a little camera that I found myself carrying in my pocket with the rubber lens cover they provided. Certainly it will not replace a DSLR, its not meant to, but it can certainly complement one.